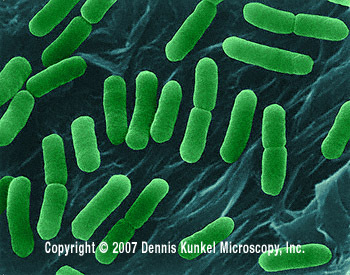 How Has E. coli Adapted to its Environment? 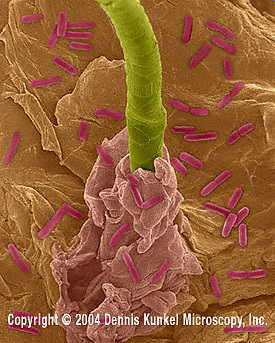 As stated in the Habitat section, E. coli is mostly adhered to the walls in the GI tract of humans and warm blooded animals either by adhering to the mucus or the epithelium. 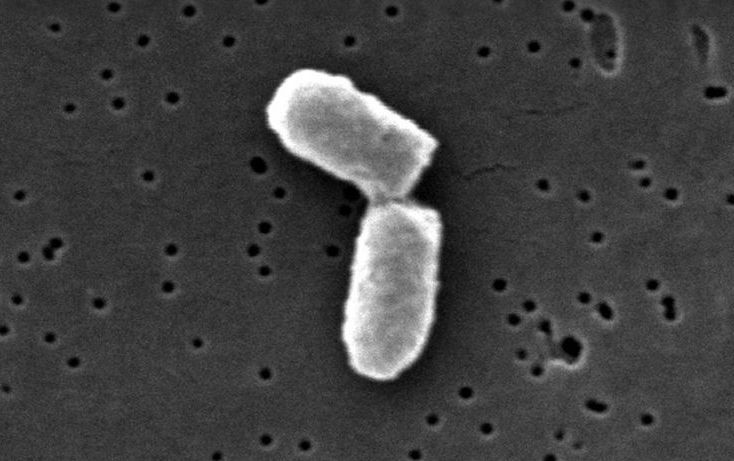 E. coli are happiest when in an environment stabilized around 37oC with a neutral pH (~7). 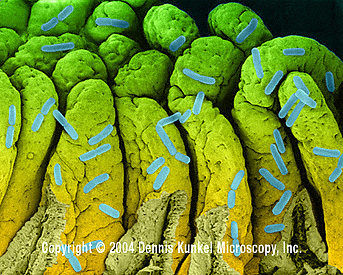 However, its environment is always changing and it uses many interesting ways to adapt to these various habitats. 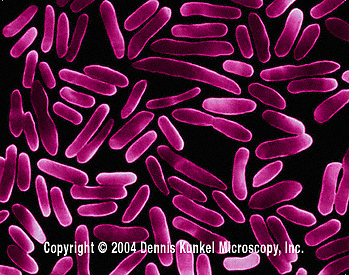 E. coli can sense changes in temperature, pH, certain chemicals, and osmolarity. 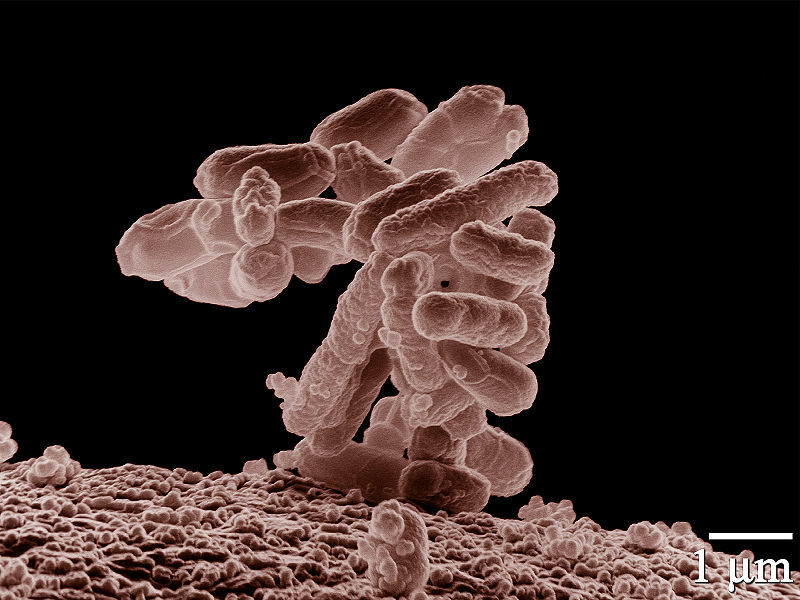 Not only must it learn how to adapt to its environment, it also must learn how to compete with the immense amount of other bacteria that are present in its habitat. 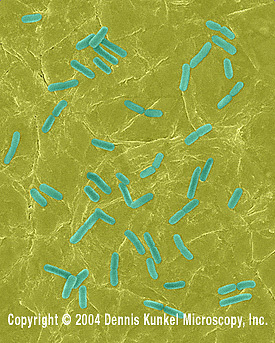 Mutations and selective advantages have allowed E. coli to adapt physically to these changes. 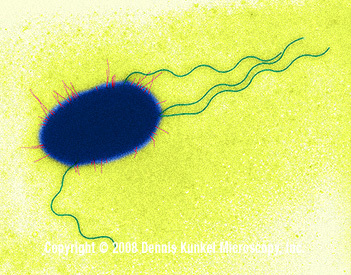 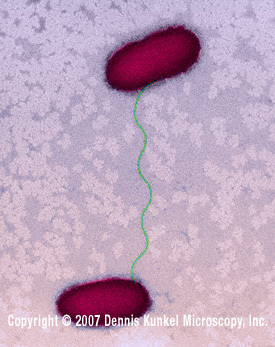 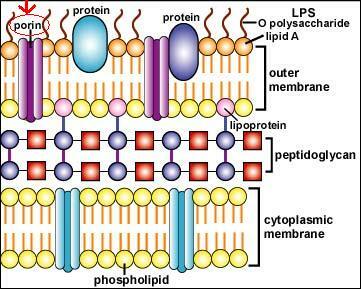 E. coli are very motile organisms, moving using petrichious flagella (see D below). 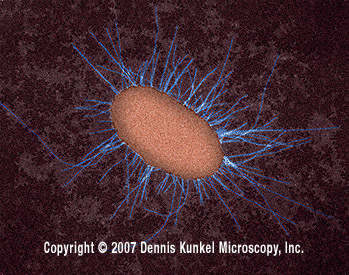 There are a number of ways in which the E.
In response to changes in the temperature or the osmolarity of the environment, E. coli utilizes its ability to physically change the diameter of the porins found on the cell membrane. 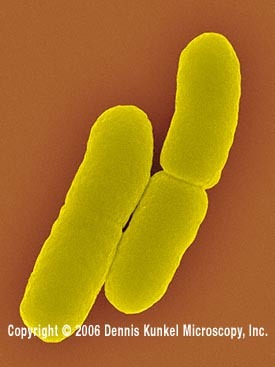 If there are larger nutrient molecules present that normally are not, E. coli will enlarge the diameter of its porin to allow the molecule to enter the organism. 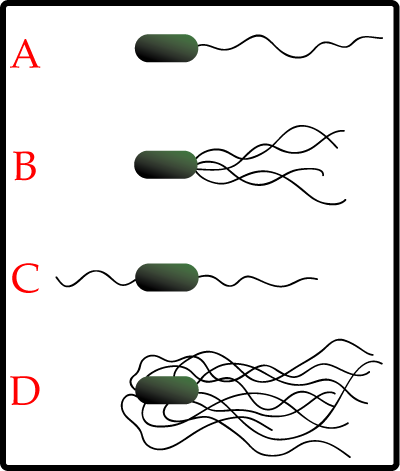 This also works in reverse in that if there are inhibitory molecules present, E. coli will decrease the diameter of the porins.